Many African countries such as Sierra Leone that have embraced an economic growth model, predicated on the need to borrow and spend, may be causing more longterm damage to real and sustainable growth and prosperity. Sierra Leone’s debt, which was written off by the international community in 2000 under the post-war SLPP government, has grown to a staggering $1 billion and rising. 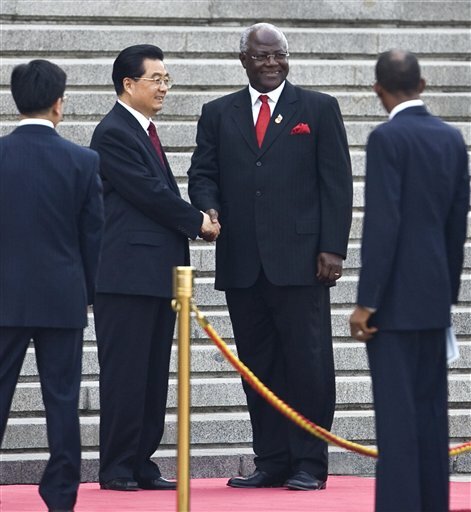 President Koroma’s ambition for greater infrastructure development has pushed up public expenditure, with a fiscal deficit that is now proving stubbornly difficult to reduce, whilst key sectors of the economy continue to underperform. The president is now trawling the global money market, looking to borrow an additional $5 billion to fund his new Agenda for Prosperity Programme. But, if such staggering borrowing does not lead to increased economic productivity and export revenue, the consequences for Sierra Leone’s economy in the next five years will be dire. The lessons emerging from China is obvious: “Borrow and spend, or in China’s case, borrow and invest works great to prop up growth – at least for a while. But eventually, debt rises, investment becomes less productive, and the risks rise”, says Steven Barnett. 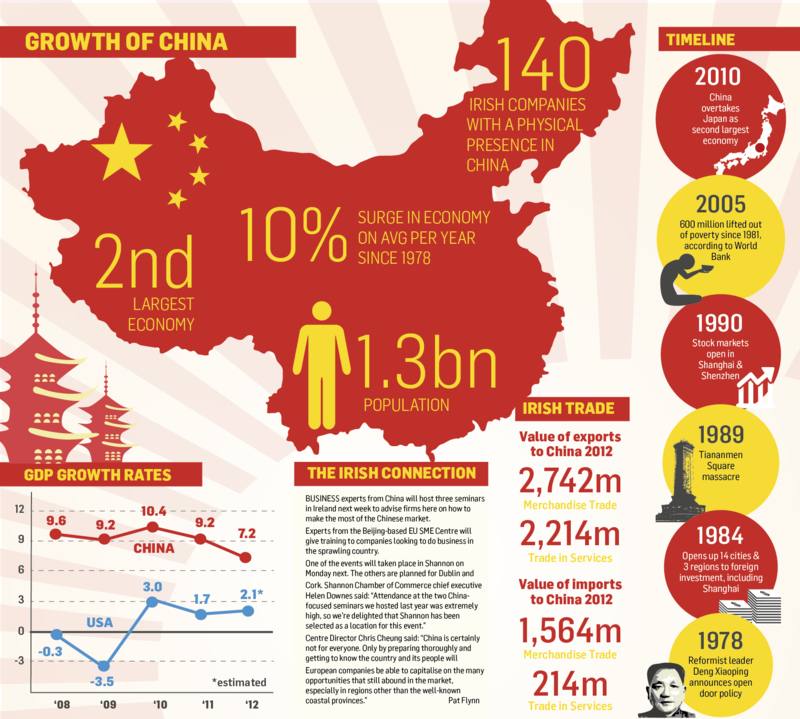 Writing for iMFdirect, Steven Barnett reflects on China’s economic growth performance and asks ‘why less is more’. Less growth in China today will mean higher income in the future. So rather than worry, we should welcome the slowdown in China’s economy. Why? Because by favouring structural reforms over short-term stimulus, China’s leadership is illustrating their commitment to move to a more balanced and sustainable growth model. Borrow and spend, or in China’s case, borrow and invest works great to prop up growth – at least for a while. But eventually, debt rises, investment becomes less productive, and the risks rise. Fortunately, China’s economy still has considerable buffers. The risks to the outlook in the near-term, therefore, are extremely low. But the economy is becoming more vulnerable on several fronts: surging credit, strains on local government finances, and weakening balance sheets in parts of the corporate sector. Credit provides the clearest example. A broad measure of credit (total social financing) had held steady at about 130 percent of GDP for much of the 2000s. However, since 2008, it has shot up to around 200 percent of GDP; an increase of 70 percent of GDP in 4½ years. Not surprising, therefore, that investment is also booming. Investment accounts for nearly half of the economy’s output, which is among the highest in the world. Indeed, it is also high relative to the historical experience of other fast growing economies. As more output goes into investment, less goes into consumption. Indeed, in the past decade consumption’s share of output has declined significantly. Reversing this trend requires rebalancing growth away from investment and towards consumption. Achieving more balanced and sustainable growth will hinge on implementation of a package of reforms. Let’s focus on two areas of the package: further strengthening of the financial sector and opening the service sector to more competition. Done together, these reforms could provide another one-two punch analogous to state enterprise reform in the late 1990s and joining the World Trade Organization, which propelled growth in the 2000s. A more market-based financial system will better channel household savings to productive uses. This means more credit to dynamic start-ups in the service sector – the type of firms currently squeezed out of the credit market. For this to work, the market for services needs to be more competitive, so these dynamic start-ups can actually start-up. Think healthcare, education, financial services, logistics, utilities, and telecom to name a handful. These new firms will, in turn, create jobs. And, the service sector tends to be more labour intensive than industry. More labour intensive growth means more household income, and higher household income means more consumption. Financial sector reform would also boost household income from investments directly. Bank deposits, where savings are often parked, have offered zero or often negative returns when adjusted for inflation. In a more market-based system, households would do much better than zero. There’s a catch: in this new model growth would be slower. In the coming years, taming rising risks in the economy – by reining in credit growth and rationalizing investment – will likely slow the economy. Put simply, less stimulus means less growth. Reform itself could also entail adjustment costs in the transition, with some short run impact on growth. We estimate that with reforms China’s growth could average around 6 percent a year from now to 2030. By all measures – except perhaps China’s 10 percent average annual growth over the past 30 years – this would be a fantastic outcome. Especially when compared to a status-quo scenario, in which China could very well get stuck in the middle – income trap and income per person would peak at around 25 percent of that in the United States in 2030. In contrast, with successful reforms, income per person in China could reach 40 percent of the U.S. level by 2030. The new model would also deliver higher quality growth. Higher quality because it would improve living standards by boosting employment, income, and consumption; use less natural resources and be more environmentally friendly; and, most importantly, be sustainable. Somewhat slower growth in the near-term is a trade-off worth making for higher future income. This is clearly good not only for China, but also the world economy. By 2030 China – especially with successful reforms – will almost certainly be the world’s largest economy. So China’s success – which will substantially increase income in China – will also mean much higher global demand and will thus be hugely important for a robust and healthy global economy. 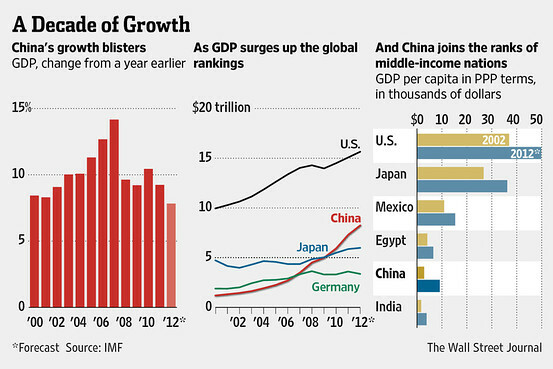 Less growth in China today in exchange for more, much more income in the future. So, less is indeed more.